But by 1893 Thewalt decided to start his own venture. That was the beginning of a more-than-a century old business. The family business was loyally continued by the old master’s son Albert Johann Thewalt and the third generation business was headed by the grandson Albert Jakob Thewalt. 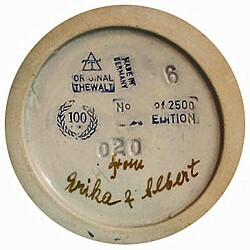 But in 2009, Albert Thewalt decided to stop the family business with a final limited edition of Thewalt German beer steins. There were 10000 beer steins in this batch and the last few of them bore the signature of Albert Thewalt. 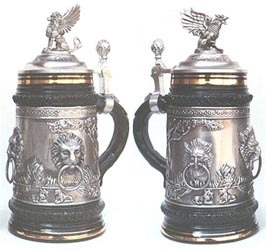 They were large 12 inches tall, 1 liter steins and are still considered as a valuable collectors’ item. However, he decided to give the rights of manufacturing and choice Thewalt molds to another company, King-Werk. Albert Jacob Thewalt, who belonged to a potters’ family was committed to maintain the German traditional art of beer stein making. As a result, the Thewalt steins were made of finest German clay from Westerwald region. They are still made of quality materials. 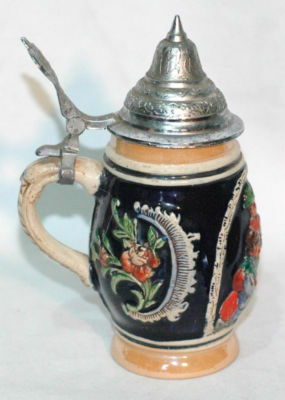 The antique techniques and designs were used to make the magnificent beer steins. Even now the manufacturers of the Thewalt beer steins do not compromise on the traditional methods or materials. From 2011, limited editions of 2500 are made in each batch. These are marked ‘Thewalt 1893’ and ‘Made in Germany’. The manufacture is still controlled by the Thewalt family members. 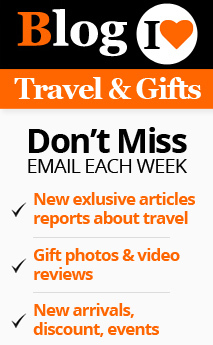 Now most of the production is aimed at tourists and collectors. However, drinking vessels, gift items and souvenirs are also produced by them. 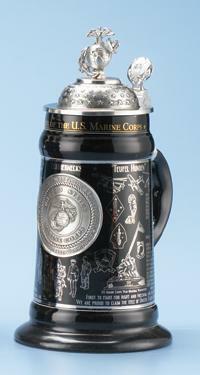 These German beer steins have their own special prestige all over the world. 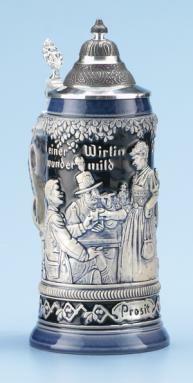 Thewalt still produce traditional steins and limited editions. The Thewalt beer steins differ in designs with each new batch. The size, shape and designs are revised every year in order to move with the times, without discarding the original antique tradition. The beer steins are produced for the local markets as well as export. Now the annual pro duction is calculated to be 75000 beer steins. Thewalt take up custom production for individuals as well as companies. Most of them are traditional hand-painted relief steins. The Thewalt beer steins can be distinguished by their essentially German looks. A lot of innovations have been introduced to the latest Thewalt beer steins. 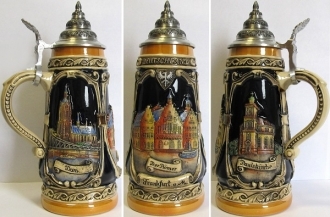 They bear the typical German shape, design and the crown on the lids. 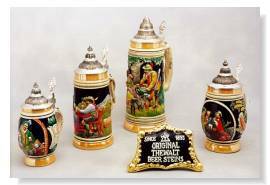 The Thewalt German beer steins are undoubtedly a prestigious addition to any collection.